Love love love the tights! 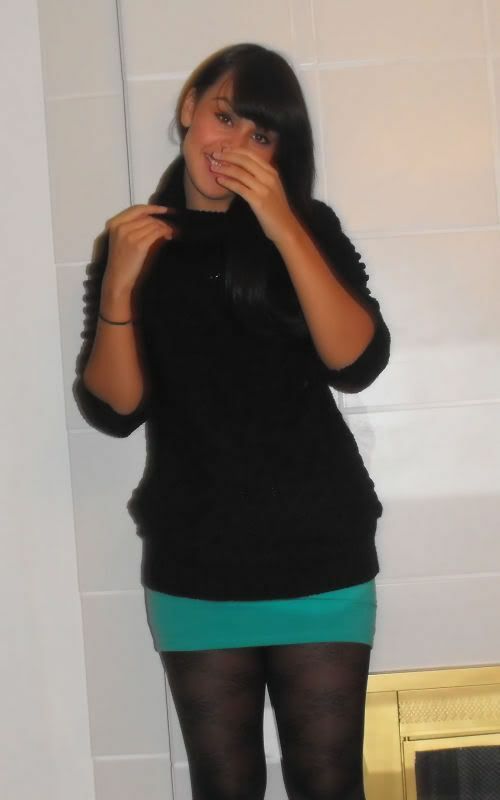 i love the tights and that turquoise skirt! I like the color of that skirt. i wish they sold their clothse in the stores too..it would be so much more convenient. anyways i love ur look as always. the green mini totally spices things up! what are you doing out in kansas city? i love this blog! you have a great sense of style! Thanks for commenting. All praise should go to my brother for taking the photos. I love him for it, too. fantastic pop of color... you look lovely. 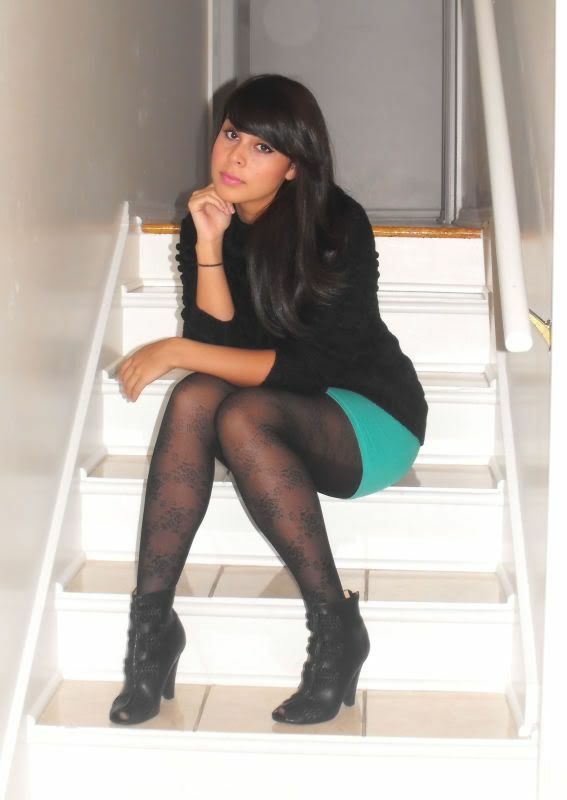 i love the pop of color with that skirt :) & those lace tights are so lovely! The skirt is perfect... I think I need one of those jumpers! chucky sweater with skinny jeans or mini skirt with thights.... very stylish. so casual yet so chic. 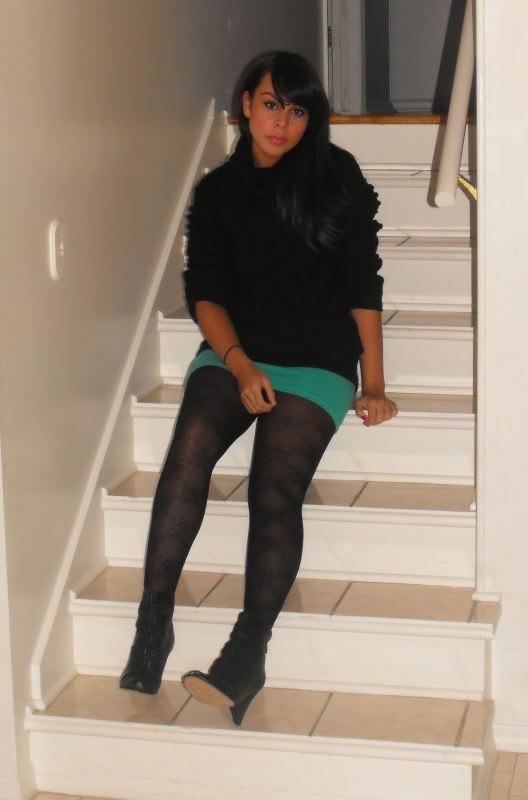 i commented earlier not sure if it went thru..
i heart this outfit and loove the tights. ur outfits frm the last post are all lovely too! you are too gorgeous! love the hair too. but yes the skirt and tights are brilliant. and i love your tights! i'm obsessed with the tights!